With an Oscar nomination in tow for Charlotte Rampling's performance, 45 Years arrives with a certain amount of expectation surrounding it. 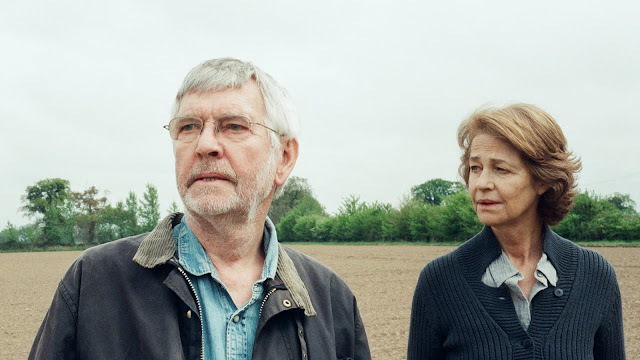 Essentially a two-hander, it's the acutely observed story of Kate and Geoff (Rampling and Courtenay respectively) in the week before they hit their 45th wedding anniversary. Geoff's world is changed (and subsequently Kate's) when he receives a letter from abroad telling him authorities have found the perfectly preserved body of his former girlfriend Katye in the ice after she fell into a crevasse. There's no denying the subtlety and the presence of these two powerhouse actors in this film, and there's a suggested history between the pair that's more often than not hinted at rather than explicitly explored (such as Geoff's heart bypass glimpsed in fleeting undressed shots, music choices pointing out the irony of what's ahead). It's in moments like these that 45 Years transcends and delivers something poignant without ever crossing the line. The shocks that come within are smaller-scale but nevertheless devastating in their domestic destruction. Kate's foundations are shaken by a withdrawing of Geoff who retreats into his memories and as the mistrust inevitably begins to permeate their very DNA, Haigh manages to keep each moment realistically shot and restrain his camera from invading and exploiting every scene. From the opening shots which begin each day of the apparent calm of the English countryside where the pair lives (never has the country seemed so menacing, as if something rotten lies within its idyll) to the re-staging of their first dance, the cinematography remains a classy affair. Conversations are never glimpsed fully on and make the viewer complicit but never accountable in events as they transpire. 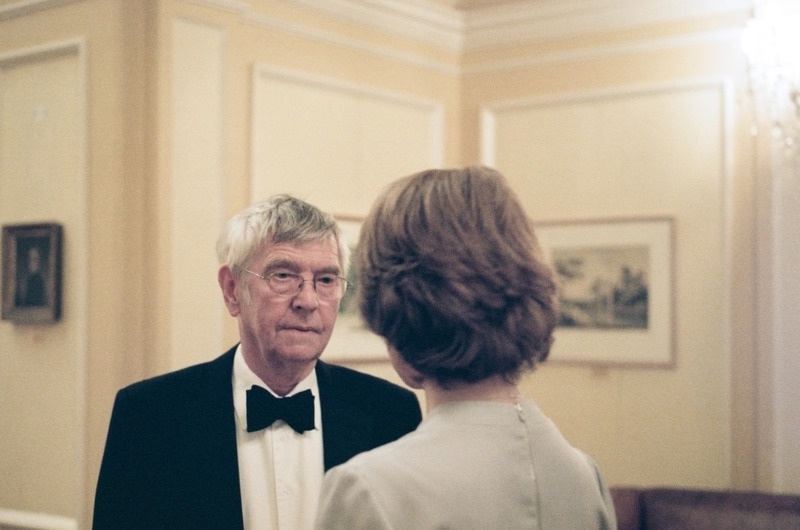 And yet, despite all of that, and the power of performances (why Courtenay has not been mentioned in the same award breath as Rampling is nothing short of a tragedy), there's an aloofness and an unanswered edge to the film that proves as much of a frustration to the viewer. It's never explained why the reveal is so devastating to Kate and why her reaction to the news and the regrets of the past are so likely to shake the foundations after some 40 plus years; sure, the past is the past, but it seems odd that the prism of the present is so dwarfed in what is happening. Sure, Rampling delivers a turn that hinges on the quiver of an eye or a lip and in one scene alone a whimper conveys more than dialogue ever could, but sympathy for her's and Geoff's plight is remarkably short on materializing. 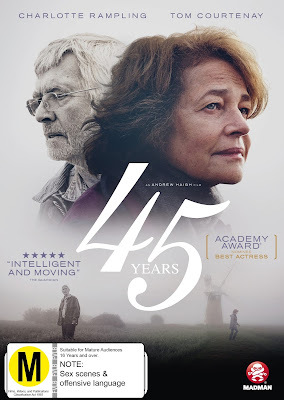 There's a muted atmosphere that is so entrenched in 45 Years and while it's no bad thing that everything's gleaned rather than outright discussed, when viewed under the microscope of awards talk, this subtle film comes up ever so slightly short.